Hassan Hajjaj, Blaize, 2015 © Hassan Hajjaj, Courtesy Taymour Grahne Gallery, New York, U.S.A.
Today, the fashion of Black dandies is more a nod to the style of their well-dressed grandfathers than the likes of Oscar Wilde or Beau Brummell. They mix vintage with modern pieces; clothes designed on London’s Savile Row with African prints; polka dots with plaid; flamboyant colors with classic lines. This sampling of a myriad of styles, cultures, and eras is in part a product of the hip-hop influence and Internet reach available to today’s dandy. Black dandyism is decidedly less about fashion than it is about style— specifically style worn on the streets in urban cities across America, Europe, and Africa (with a few rural exceptions). What’s hot isn’t dictated by runway shows; trends are being set by social media mavericks who are self-fashioned. And their street style, in turn, is influencing the fashion industry. 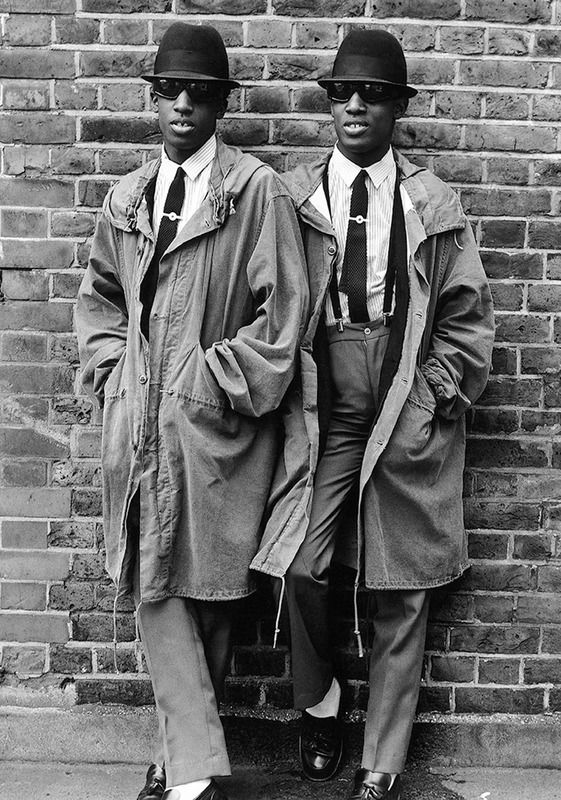 The Black dandy’s look is highly tailored—the antithesis of baggy wear. The saggy-pants-wearing youth of today are no longer making a sartorial choice of rebellion, but are buying into a grotesque and glorified culture of manhood perpetuated by mainstream hip-hop, the prison industrial complex, and negligent public policy. Black dandyism rejects this. In fact, the Black dandy is often making a concerted effort to juxtapose himself against racist stereotyping seen in mass media and popular culture, where the post-slavery Black brute figure has morphed into the Black athlete, the rapper, the juvenile delinquent, and the cyclically imprisoned drug dealer or gangster. As the stereotype of the aggressive or violent Black man continues to occupy a place in our culture, this leads to violence and death for Black men, especially at the hands of authorities. In fact, the 2011 study Media Representations and Impact on the Lives of Black Men and Boys, published by the Opportunity Agenda, shows a direct correlation between negative stereotyping and decreased lifespan for Black men and boys. Trayvon Martin was shot in a dark hoodie, and Michael Brown Jr. was wearing baggy clothes when he was killed by police in Ferguson, Missouri. For Black men, fashion choices can be a matter of life or death. When faced with and overwhelmed by these grim realities, how do Black men contend with and challenge racist ideas—not only for their success, but also their survival? For dandies, dress becomes a strat- egy for negotiating the complexities of Black male identity, and the suit can be a form of armor, although not bulletproof. The Black dandy is a trickster figure, a dapper agitator. 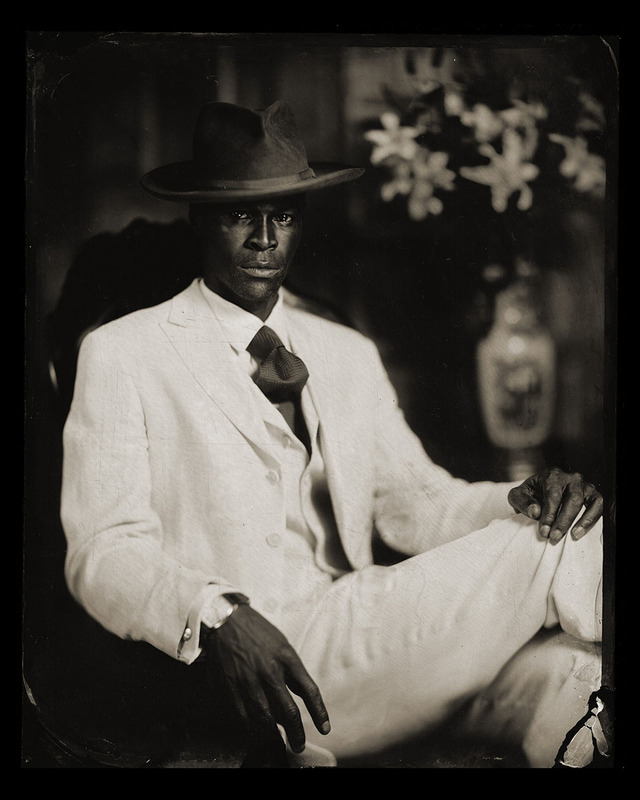 Similar to the masquerading traditions of West Africa, where individuals are transformed into otherworldly beings, the Black dandy embodies the idea that when a body is encased within a “suit,” the masked or “suited” individual exceeds ordinary human expectations. The dandy is deliberate in his use of the Black body to express not only his individualism, but also his relationship to his own community and to mainstream culture, challenging negative perceptions of what he is capable of doing or being. His bright, colorful style and positivity resist stereotypes, categories, boxes, or ideas that society has about Black men. He confronts, amazes, and confounds his audiences, both real and imagined. Whether they’re hanging out at a local club in New Orleans or Johannesburg or attending the African Street Style Festival in London, there is an unspoken conversation going on between Black men globally about how they want to be seen in the world. Their decision to defy social expectations of how they should look is an exuberant act in the face of a world that isn’t always friendly to Black men and boys. Dandyism is much more than dressing up and following the politics of respectability. Dandy Lions craft an identity for themselves outside of so-called norms rather than conforming to mainstream, white values. The Black dandy is a social engineer who employs sartorial instruments to articulate his own masculinity and, in essence, his own humanity. By appropriating the outward and highly specific signs of class, culture, wealth, education, and status, the dandy cleverly manipulates clothing and attitude to make his own statement. A Black dandy is deliberate about letting you know exactly who he is, rather than who you want him to be. 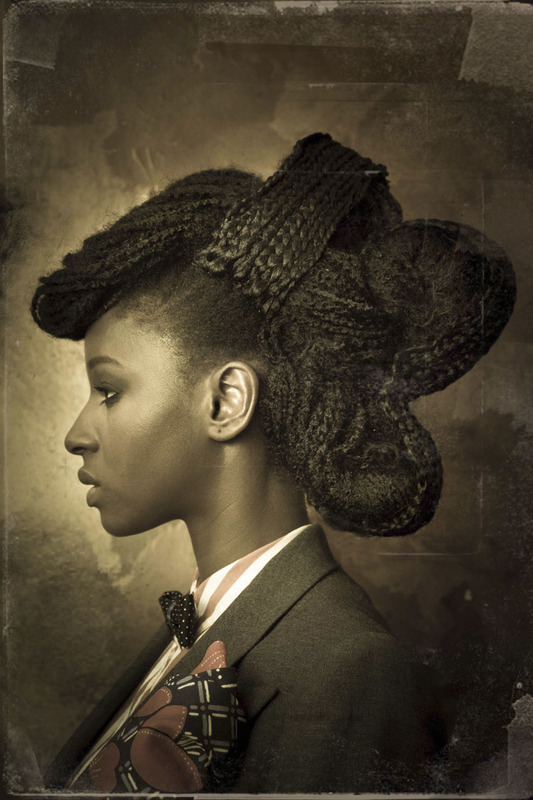 Dandy Lion: The Black Dandy And Street Style by Shantrelle P. Lewis is published by the Aperture Foundation/Thames & Hudson. Out now.